Keeping up with the demands of a busy schedule can be challenging. There are many instances where you may forget about a meeting, social event or an errand you had to run because you misplaced a post-it note. The easiest solution would be to cut down on the number of tasks you are juggling at the same time! But that is easier said than done, especially for those who are busy with both work and family lives. 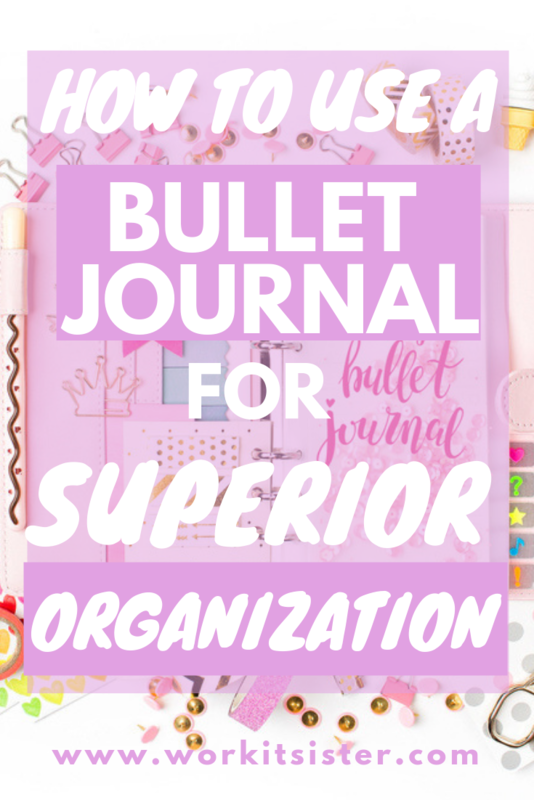 It is why a handy tool such as a bullet journal can help you create a superior organisation structure. The bullet journal is a concept that was first created by Ryder Carroll. The idea behind the journal is to track everything related to your life – the past, present and future. And a bullet journal can serve different purposes, depending on your lifestyle and goals. It can be a task manager, journal, idea catcher or a place where you can jot down all the meetings you must attend! It is a way to take a notebook and organise your life, simplifying the structure that you have in place right now. Those who are so used to adding appointments to their phone or keeping post-its at their desk may feel as though it is a huge change. And using a pen and paper with a notebook can feel a bit old school. But it is part of the reason why bullet journals are so effective! Bullet journals can be used to keep track of everything that is going on in your life. Many people who use bullet journals split up their notes into monthly, weekly and daily pages. A single page can highlight all the major tasks that must be completed in a given month. There are separate pages for each week within the month, while each day also has its own page. It allows for good separation between the minor tasks, appointments and events that happen on various days, medium term tasks that must be done within one or two weeks, and the long-term tasks that can go into monthly pages. When using a bullet journal, you can also create an index page at the very front, where you list the page numbers and the topics they correspond to. For instance, if page number 10 in your bullet journal is indicating what you have to get done on the second week of April, you will indicate as much within your index. Then you are able to jump onto the page when you want to look at the things that must get done in that week. As you can use a single notebook for months at a time, they not only show you what is coming up, but the events, appointments and tasks that you completed in the past. It allows for the complete organisation of your daily routine – both at work and at home. The beauty of a bullet journal is that you do not have to make yours as an exact copy of someone else’s journal. While the system mentioned above may be very useful to a lot of people, it may not be the way you want to organise your notes and thoughts. Some people prefer having a single page where the list out their routines for a given month, week and day. For instance, you can have a calendar drawn up on half the page, where you list major tasks that you must handle on a given day, such as paying bills, going for a run, laundry, or visiting the doctor. Then you can use other parts of the page to list out your daily activities, such as making breakfast, taking the kids to school, putting dishes in the dishwasher, going to work, etc. You can even list out goals that you have set for the month. Whether it is at work or at home, it is not possible for you to do everything at once. There are only so many hours in the day, while you only have two hands! Knowing your priorities is one of the best ways to organize your whole approach to life. A bullet journal helps with organization. When you are jotting down tasks for a given day, week or month, you can order them based on importance. Or you can put a little star besides the tasks that you will tackle first, while you can move ones that you were unable to finish onto the next day/week/month. Staying organized is not only about knowing what is coming up in the next day or week. Sometimes you need to look back at what you were doing on a specific day. Perhaps you are asked a question about your whereabouts at work on a given day. With your bullet journal, you can easily flip to the page corresponding to that day or week. It will list the tasks, events and appointments you had on that day. Having a record of everything you did in a given day, week or month is also helpful for personal goal setting. When you see visual proof of all the incredible work you are doing, how many times you went to the gym, or other errands you ran, you will realize that you were a lot more productive than you imagined. The hardest aspect to organising a modern lifestyle is having so many different pieces of paper, email addresses, task managers, calendars and apps that are supposed to help us stay organised. 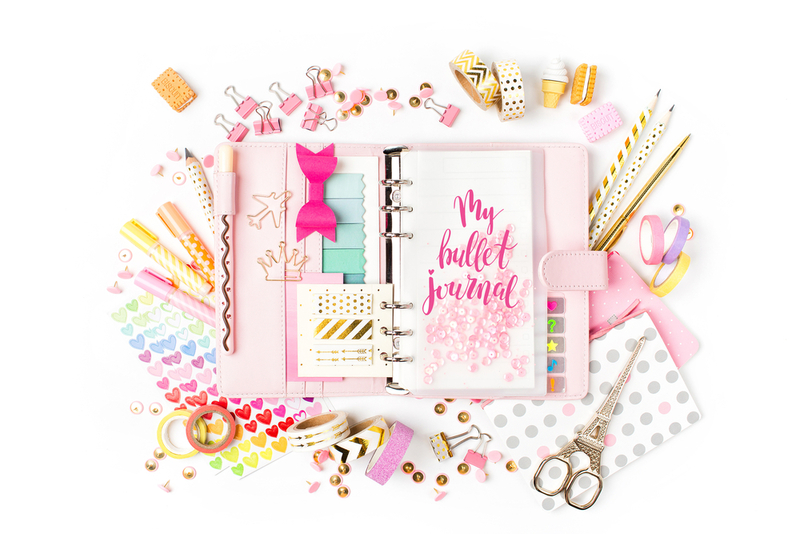 A bullet journal takes all those tools and condenses them into a single notebook that you must carry around. Now you know exactly where to look when you need any bit of information about your day. Everything from work appointments to meetings to errands to phone numbers of new acquaintances can be listed on those pages. Instead of spending ten minutes frantically searching for a sheet or post-it note where you jotted down important information, you can flip through pages and get to those details in seconds. Being organized and on task can be difficult if you have so many thoughts in your mind. Sometimes it can feel so overwhelming, as you have all these ideas but you are not sure where they fit. Having a page or section of your bullet journal where you can place “random thoughts” could help you keep these ideas organised. Each time you have some idea about a project at work, task you can do at home, or some change you can make to your life, write it down. Keep doing this for a whole month. When the month is over and you have a moment to breathe, come back to your random thoughts page and read what you jotted down. See if any of those ideas are still relevant. 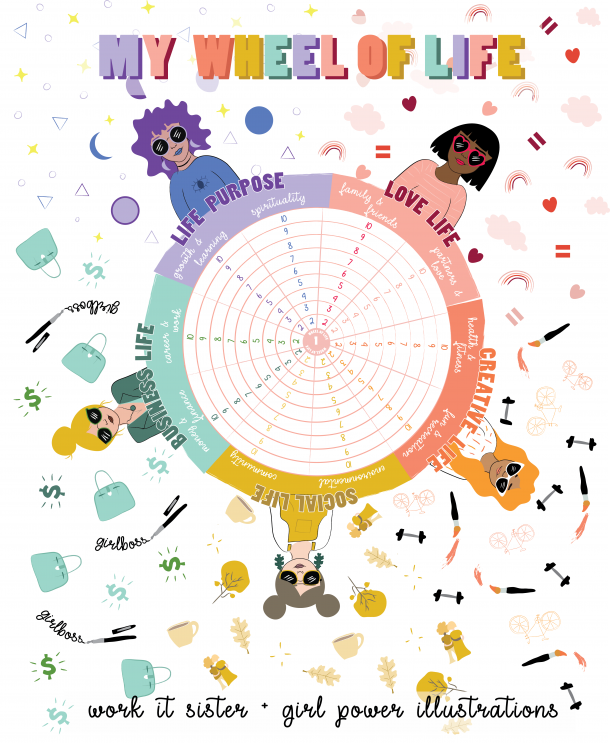 Now that you have some time, you can go over those ideas and decide if you need to incorporate some of them into your immediate or future goals. Part of the benefit of a bullet journal is bringing about a change in mindset. The appeal of a bullet journal is that it is a neat, easy to manage and flexible system that allows you to be productive and well informed in your life. But having the right mindset also means being realistic. Do not buy 10 leather-bound bullet journals and fancy pens, expecting they will change your life in a day. Start small. Take a journal out of your drawer, use a pen you already own and start creating the type of bullet journal that you believe will be useful to you. And do not put too much pressure on yourself. Bullet journaling is like any other new habit that we pick up. It takes time, it can be hard to learn, and you may suffer some setbacks. Perhaps you will have days in the first month that you do not log. You could be a couple weeks into the process and realize you chose the wrong way to organize your pages. Do not fret. Too many people stumble with their first journal and assume it is not for them. Your first bullet journal is where you make mistakes. It is the rough draft, where you figure out the best way to organise your tasks, events, errands, goals and thoughts. Bullet journaling can sound like a gimmick when you first hear about it. “We are just writing things down in a notebook,” is what some people say when they learn about bullet journaling. But it can become so much more if you give it some thought and effort. Bullet journaling can simplify your life, let you keep a record of everything you, and allow you to approach your days with the right attitude, organization and efficiency. If you have a hard time organising your life, give bullet journaling a try! Previous Post 15 Things You Can Do Every Sunday for a Fantastic Work Week!